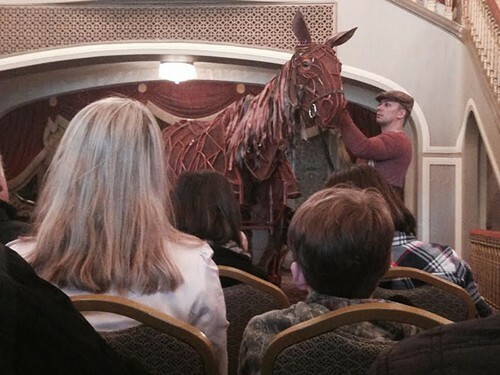 Joey, the 120-pound horse puppet at the heart of the play War Horse, has become a worldwide superstar. The many people who've climbed inside and brought him to life, however, remain largely anonymous. 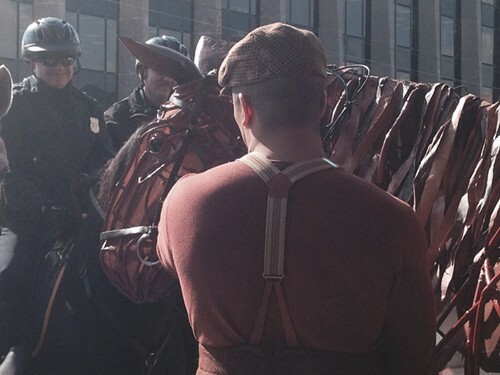 Matt Acheson, the associate director of puppetry for the show's North American tour, says there's nothing more exciting about his job than introducing a newly hired group of puppeteers to the horse when it's just hanging lifeless in its storage rack. "You see the look on the faces of these people who know a little bit about what's ahead of them, and they are so in awe," he says. Acheson describes the grueling, sometimes exasperating work that follows as a labor of love. Intermission Impossible: This British import has brought a lot of attention to the art of puppetry. And you grew up in a museum family, and always having access to puppets obviously. But can you maybe tell me a little bit about puppetry traditions in America? Matt Acheson: It exists in pockets and communities and is made up mostly of people who stick to one style or another. But it’s always quietly there in the background, and every now and then it pops through and is thrown into the spotlight again. I think now is one of those times. It’s definitely being highlighted again. 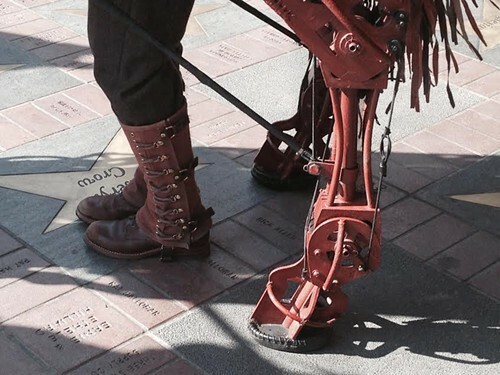 War Horse has a lot to do with that and the beautiful horses that have been created for that show are again raising the bar what puppetry can be, and how it can be used, especially in theater. Intermission Impossible: Audiences don’t relate to puppets the same way they relate to human actors, do they? Matt Acheson: For me the most exciting and powerful thing about puppets and witnessing s puppet show as an audience member, is that puppets are such a pure character. They don’t ever leave the theater really. They are always embedded in the show and are always that character you are seeing. It actually engages a different part of the brain when you are watching it than if you were watching a live actor. The first couple of minutes you’re, “yeah, that’s made of wood or foam. It’s not human, it’s not alive. Then you sit with it longer and all of a sudden the puppeteers disappear. It has its own skin. It’s breathing. It has its own thoughts. And that’s the audience member putting all of these ideas and emotions into the puppet. You become so connected to the puppet that you sympathize with it in a different way. Possibly even more deeply than you would for an actual human because you are doing so much work to make that thing come to life. The puppeteer is giving you these points of reference and familiarity that you are connecting with but the audience member is doing all the work. So, when there’s a death scene, as there is in War Horse, it rips you apart. Because you’re seeing something that you’ve created die in front of you. It’s pretty special in that respect I think. Intermission Impossible: Theatrical choices always make a stronger impression than literal representation, don’t they? Intermission Impossible: What does an associate director of puppetry do all day? 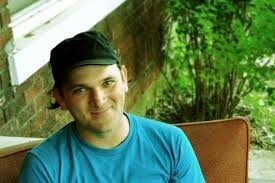 Matt Acheson: I’ve been working on War Horse for almost four years now, since it arrived in the states. I audition puppeteers, hire puppeteers, train them, maintain the choreography, and help develop new ideas new choreography, organize the team structure. And then there’s a lot of team building and damage control. And keeping the team healthy and happy. Because it’s hard to be, day after day, strapped physically to another person, and letting go of what you want a scene to do as a singular person, and trying to come up with a group consensus without talking to each other. It’s physically demanding, clearly. But it’s also emotionally demanding on the puppeteers. And they are a great group on the road. They have been amazingly resilient and strong. Intermission Impossible: Where do your puppeteers come from? Matt Acheson: A lot of people come from— I don’t want to say circus world. But we’ve found people working in physical theater like Blue Man Group-type folks. There are a lot of actors and dancers that end up there. But there are specific things we are looking for when we are auditioning. There are three positions in the horse. The positions have different personalities and needs to create the one singular personality of the horse. The person on the outside is usually a little more graceful with their body. They know how to disappear in plain sight. They’re more like a partner dancer, so they work with the object. The person on the inside up front in usually has a fiery personality and is very physical and quick, and has a lot of stamina. The person in the back is usually really grounded to the Earth and counters the personality of the front puppeteer. All of a sudden you have the personality of the horse. And each horse is different, which is fun to watch. Intermission Impossible: Is the choreography entirely by the numbers or does each puppet’s team develop its own personality? Matt Acheson: In certain scenes you have to go by the numbers. You have to count so many steps or somebody’s going to get hurt. But many scenes where we talk a lot about horse psychology and being a trained animal and what kind of energy and body language would be appropriate so we can keep the movement pure and authentic to a real horse. Who doesn't love a good clown show? Coming to GPAC, March 21. Memphis Filmmaker Morgan Jon Fox (Blue Citrus Hearts, This Is What Love in Action Looks Like) and a few of his writer friends are collaborating with Our Own Voice Theatre Company to develop a series of original one act plays. Auditions happen this weekend. Deets below. Lead and Supporting Roles available for ALL AGES. Auditions will be improv and workshop based. 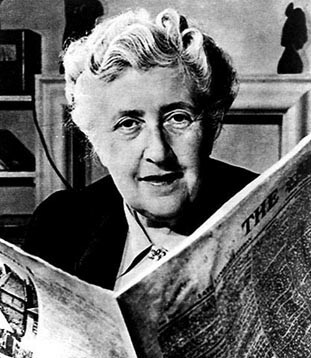 A new popular idiom is in order: "Does GCT love Agatha Christie?" Is the Pope Catholic? Does a bear do his business in the woods? The predictable mystery is just one show though on a season that begins with Sondheim and ends in farce. Stephen Sondheim explores the ins and outs of “Being Alive”. A beloved classic about a toy that comes to life and delights children instead of terrifying them, which is what would probably happen in real life. A funny, fuzzy comedy about nice clocks, wild hair, a red hand-me-down dress, beauty queens, and fireworks by Crimes of the Heart author Beth Henley. Arthur Miller looks into the American backyard and finds the dark heart of post WWII prosperity. An all adult cast and all children’s cast will perform this Tony Award winning musical in rep. Nifty. Creepy, kooky, mysterious... yadda, yadda, yadda. The live action version of Washington Square: A plain-featured woman is played for her inheritance. Then she plays back. 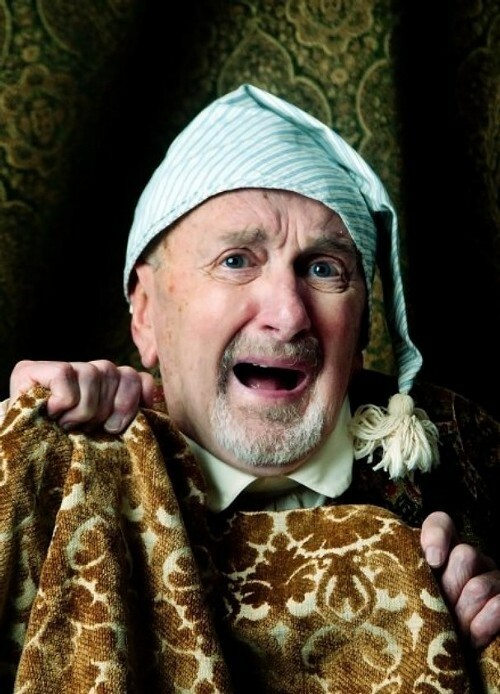 Who will play Barry Fuller in this year's Christmas Carol? In case you might have missed the last 36 productions. George and Lennie look for opportunity during the Great Depression. Steinbeck at his best. A jukebox musical built around the music of "I Honestly Love You" songwriter Peter Allen. A socialite's wedding plans take a turn toward trouble when her ex-husband and a hunky journalist pop in. Romance gets complicated aboard the S.S. American, in this ever-popular musical featuring standards like "I Get a Kick out of You," and "De-Lovely," and, of course, the title track. The story of "Frankie Addams," an "unjoined person" who dreams of leaving her small southern town. A tuneful romp through the history of early 20th-Century America. In 1941 two of the worlds greatest physicists visited with one another in spite of being on opposite sides of WWII. This is what might have happened when Niels Bohr dropped in on Werner Heisenberg although what actually happened is shrouded in uncertainty. Can you really have it all? A smart, funny look at American feminism in the 21st-Century. The Hattiloo moves into its new Overton Square theater in July. Here's what we can look forward to . Shakespeare with a Calypso heart. A peasant girl loves a wealthy boy. Trouble brews. What happens on the island stays on the island. An affluent African-American family spends a weekend at Martha's Vineyard in this play about race, class and family ties. 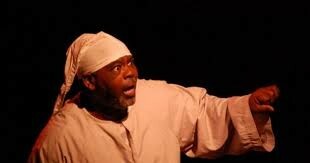 In 1895 Zimbabwe, Jekesai escapes a forced marriage to the home of an African Roman Catholic. Christian faith finds itself at odds with tribal traditions. Eb Scroo, a successful African American businessman who doesn't like white people, black people, or Christmas. An old story with a new twist. A Blues Musical by Memphis-born playwright Katori Hall. An ex-con sells stolen refrigerators so that he can one-day buy a video store. A self-ordained minister, returns to rural Georgia to claim his inheritance and right some old wrongs. 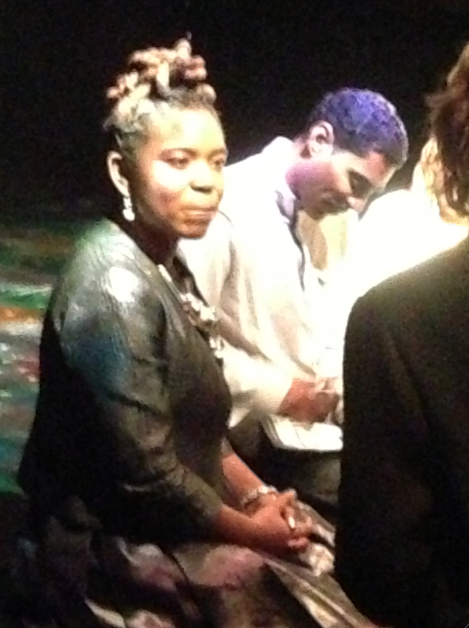 A review inspired by the life and legacy of Nina Simone.